So Pinterest wins again. But I still think that taking inspiration from others’ outfits and “making do” with what you’ve got results in some new and interesting combinations. Sure, I wore my red brogues and a blazer like Beth did in her outfit, but it’s not a direct copy I’m glad to say (and that would be a bit boring, wouldn’t it). 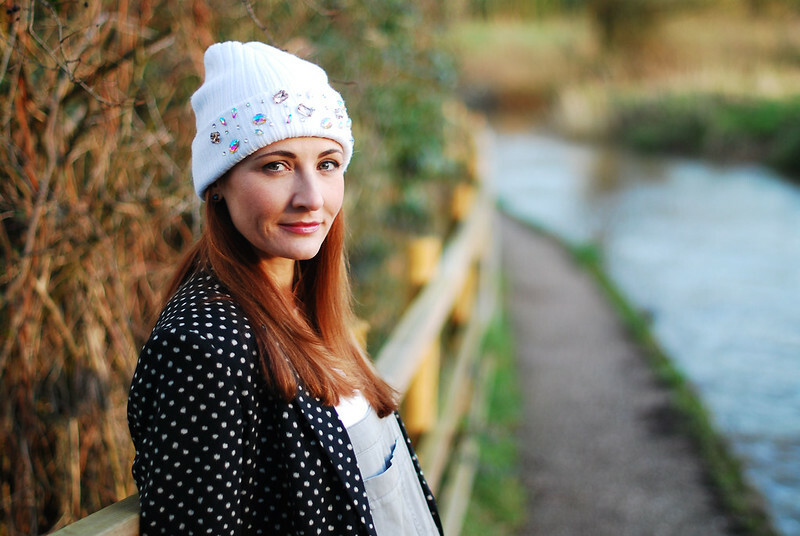 I haven’t seen many bloggers wearing bejeweled beanies – do you have one, or would you consider getting one? Let me know (oh and please don’t forget to vote for me in Fever London’s model competition – details at the bottom)! 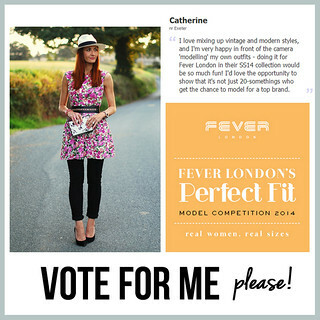 Click To Vote For Me To Model For Fever London! 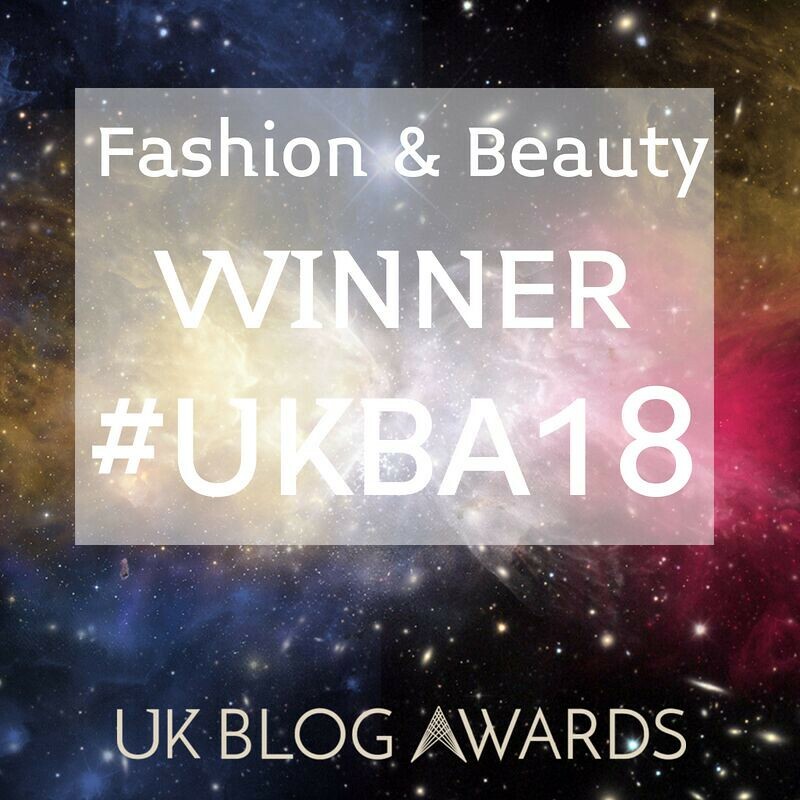 They want the winners (one from each size category) to model their SS14 collection of vintage inspired clothes – if you remember on any other day (till 19 February) to vote again pleeeeeeeeease do so – thank you thank you thank you! I don't have a pair of overalls, but if I did, I would totally rock them the way you do! I love this look! 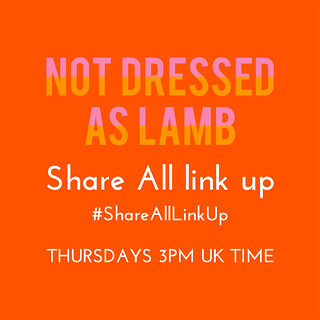 totally LOVE this…so FUN! Especially the beaded beanie…casual glam at its best. Beanie looks great love it! love the beanie!!! perfect look! The only person I have seen wearing a bejeweled beanie is Elisa Nalin and hers is by Paule Ka. I think you carry it off really well and I suspect it wont be long before we do see more of this look, especially now that we have seen it on you 🙂 Me, I am still loving the unembellished soft slouchy beanies. Seriously though? so adorable! I love these oxfords and I'm crushing more and more on them! Aww bless you Brandi, that's lovely of you thank you!!!!! I do gaze at the red beauties a bit at home, I can't bear to put them away in my wardrobe (they're too pretty)! Of course I voted for you. You know you can count on me, being a fan. And no I do not wear a beanie. Doesn't suit me at all and my thin hair looks aweful when I would take it off. You are a fearless fashionista, dear Catherine!! The "overalls" look (long, short, even skirted!) seems to be making a big style splash right now…and here you are, showing us just how great it can look with a mix of fun and sophisticated accessories!! As is often the case, I am in awe!! 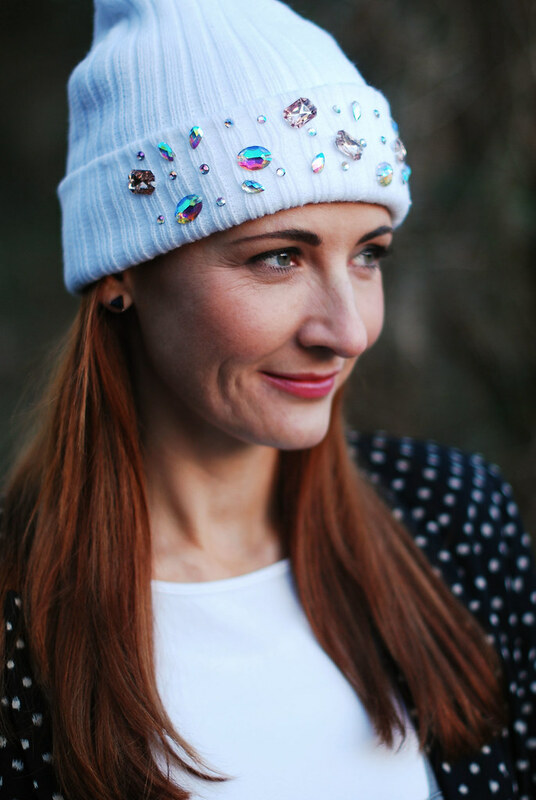 By the way, I do NOT own a jewelled beanie…but I would love to find one as great as your white version here!! 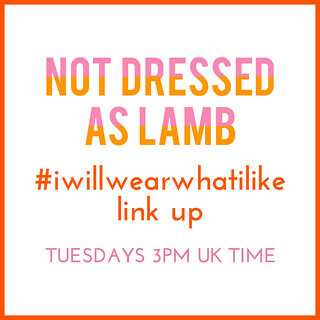 Sorry I'm a bit super frazzled today – brain is mush and I probably won't make any sense!!! Love the shoes Catherine. You look fab as always. 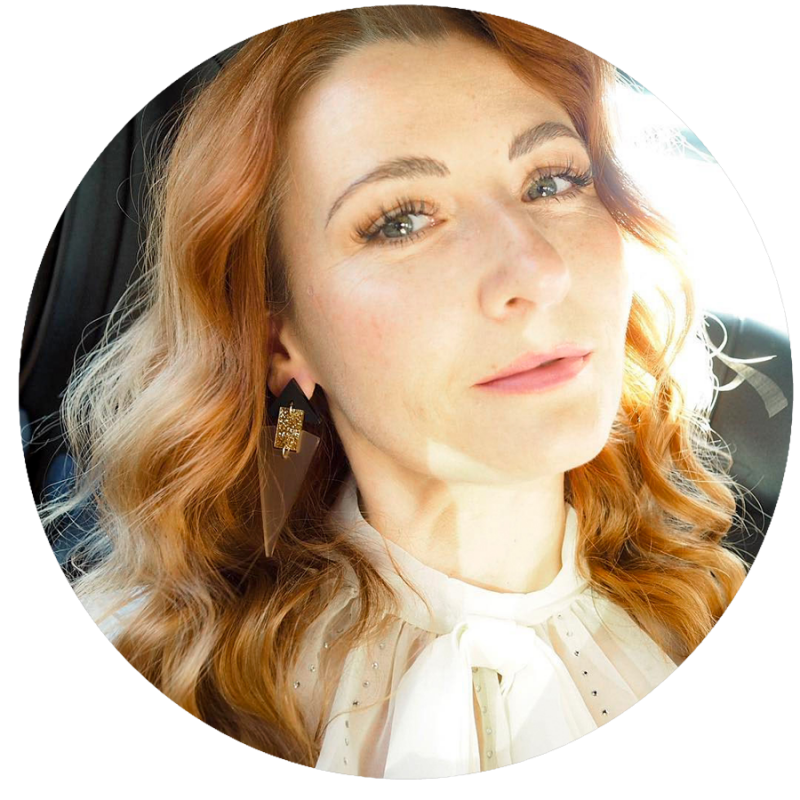 Very sweet of you Elsie – thank you! Well, this is just dang cute. I wore the hell out of overalls (that's what we Americans call dungarees) back in the 90s. I loved those things. Love the red shoes. love the dotty jacket and the red brogues – super cool! I definitely think the beanie makes it, doesn't it Irene – thank you! Okay you are honestly the coolest and I'm obsessed with you. I'm beginning to think you can pull off anything. Love the blazer and the red shoes!! I love this look! Definitely gonna try out my beanie with dungarees now. And brogues! Don't forget your brogues, heehee!! Oh Catherine this is definitely a new favorite for me for sure!!!!!!!! You look amazing as always! Great beanie and you've totally changed my mind about dungarees! Oh my, Claudia I've just checked out your bling… it looks stunning! Such a great idea to wear a statement necklace over a coat. So glad you like… thanks Jane!